Crafting unique brand experiences is what we do. 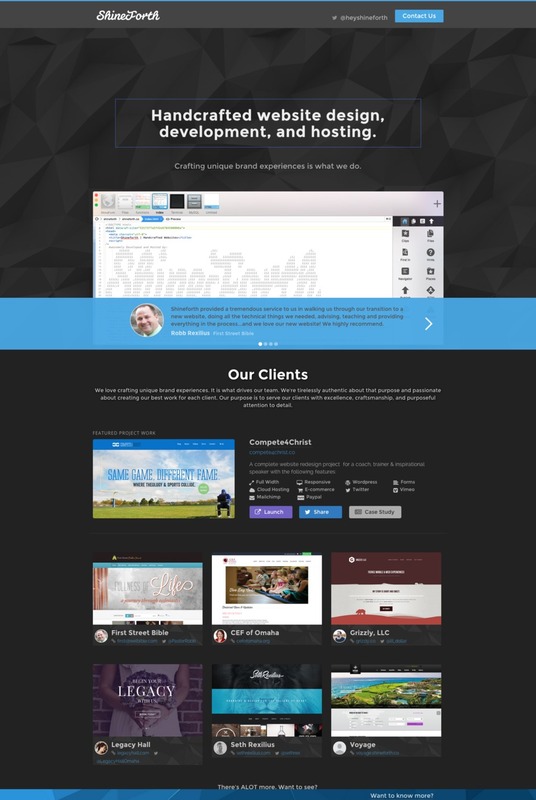 At ShineForth, we focus on handcrafted website design, development, and hosting. We love crafting unique brand experiences. It is what drives our team. We're tirelessly authentic about that purpose and passionate about creating our best work for each client. Our purpose is to serve our clients with excellence, craftsmanship, and purposeful attention to detail. No matter what business problems you may be facing, effective solutions are your most valuable asset. We’ll partner with you to brainstorm, plan and execute the perfect solution to each unique opportunity. We bring decades of experience crafting innovative design, branding, and development solutions for our forward-looking customers.